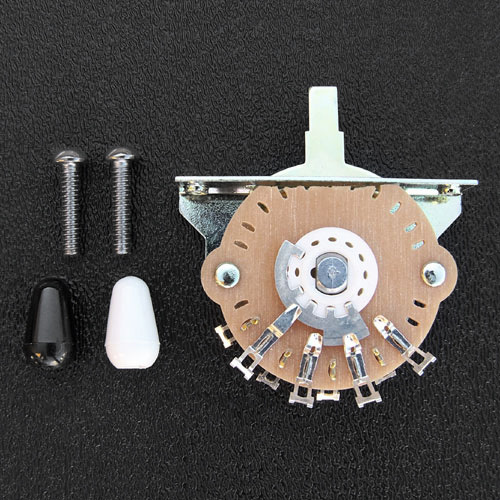 Genuine Fender® Stratocaster® 5-Way Pickup Selector Switch. Used on most American made Fender® Stratocaster® guitars. Includes one White and one Black Strat® switch tips and mounting screws.